This nicely appointed three bedroom, two and one half bath townhouse is located a short distance from the center of Lake Placid. Situated in a quiet part of town, it is just minutes from the Olympic Arena, shopping and restaurants. 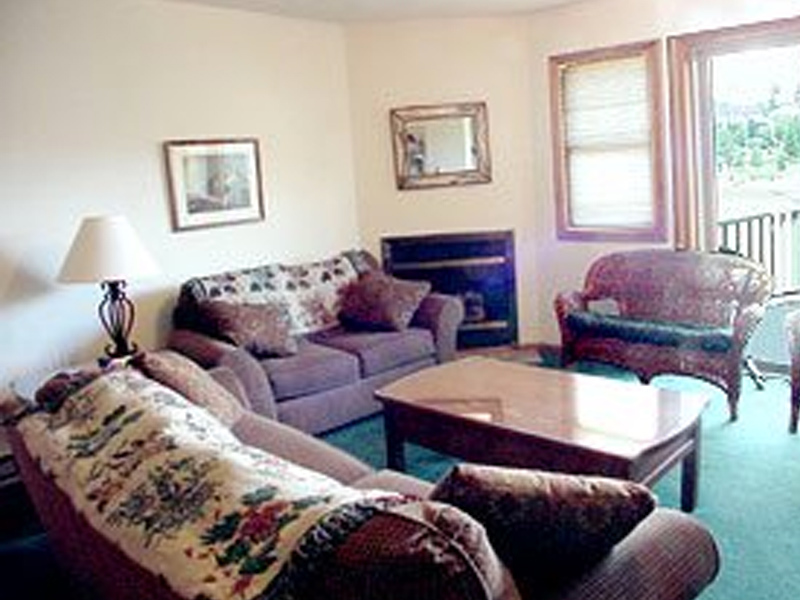 The main level features the living room and dining area, complete with fireplace and color cable TV/DVD. There is a fully-equipped, modern kitchen with microwave, dishwasher, washer/dryer and all necessary utensils, cookware and china. There is also a half bath on this level. The upper level features the master bedroom with a king sized bed and the second bedroom with two twin sized beds. A full bath is also located on this floor. The lower level of this townhouse has a full bath and the third bedroom which has 2 twin beds. An additional double sleeper sofa is available in the den on this level. All linens and taxes are included.